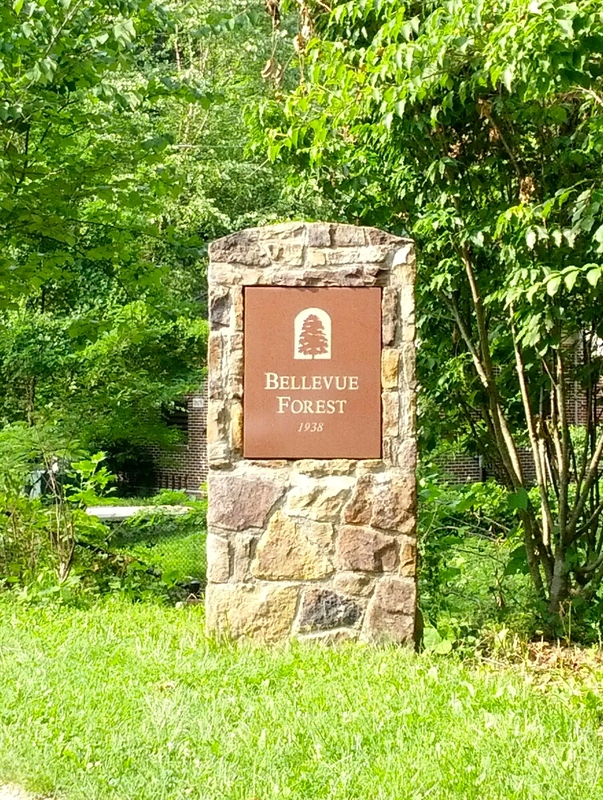 Bellevue Forest in 2 sentences: Bellevue Forest is a secluded and quiet neighborhood in the upper northeastern section of Arlington County. Houses are generously-sized, built on large lots, and surrounded by a lush wooded area with plenty of wildlife that provides a serene ambiance just minutes away from D.C. Even some Arlington residents may have trouble spotting Bellevue Forest on the map. 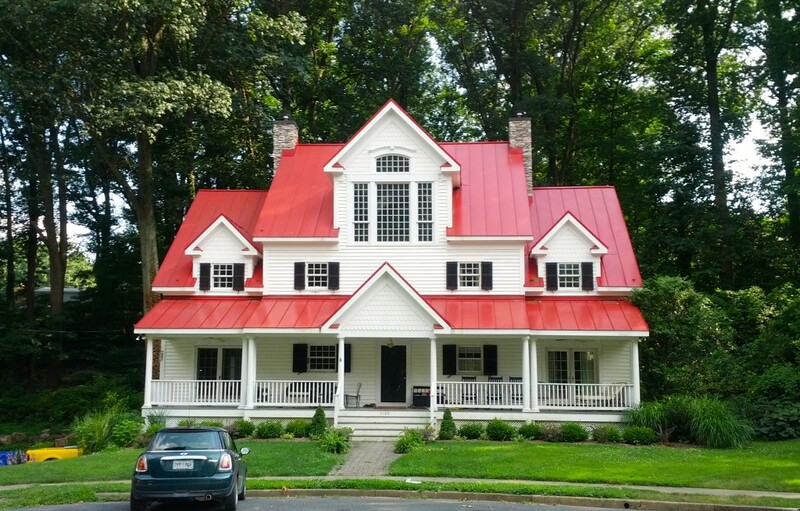 This post will go into finer detail on the planning and consideration that went into developing Bellevue Forest, discuss the types of homes in Bellevue Forest, and take a look at what it is like living in Bellevue Forest today. Bellevue Forest was established in 1938 and is located in the north east part of Arlington County. Spanning 120 acres, this houses in Bellevue Forest are generally built on large lots in a wooded setting. John Grunwell was the lead developer for Bellevue Forest, which took its name after the Grunwell’s family home. Careful planning went into creating the subdivision. Notable characteristics of the neighborhood include many culs-de-sac, T-intersections, wide streets, few sidewalks, and large lot sizes. Many homes were built up around the natural characteristics of the land they occupied. A majority of Bellevue Forest homes were built in a twenty year period from 1938-1958. But during that time frame houses were not all built at the same rate. Like many other neighborhoods in Arlington, homes for sale in Bellevue Forest came to a screeching halt during WWII. After the war, development picked back up and increased tremendously in the years following. 70 houses were built between 1951 and 1953. Another 150 houses were built between 1954 and 1958. Very few homes have been constructed since. Between 1959 and 1993, just thirteen houses were built. There are some new construction homes in Bellevue Forest but since many homes have been passed down from generation to generation, it is rare to find new builds in Bellevue Forest. 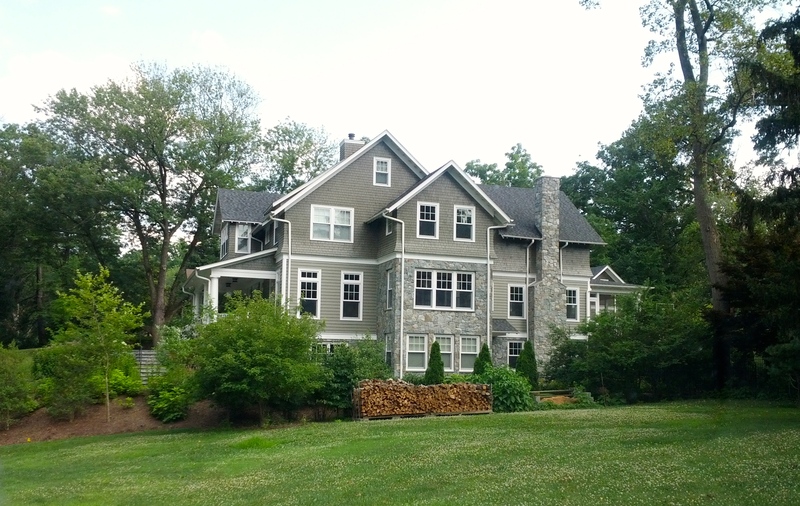 For more history on Bellevue Forest Arlington VA and to learn about the most recent happenings, the Bellevue Forest Citizen’s Association is an excellent resource to learn about all things Bellevue Forest. The most common types of homes in Bellevue Forest are English Cottage, Colonial Revival, English Tutor, Middle Ranch, and Ranch Rambler. These were the most popular housing styles during the 1940’s through late 50’s and it certainly reflects on the neighborhood. After the war and into the 50’s, housing styles changed with the times as newer architecture became more popular. Houses with similar facades and similar plans were built next to one another. There are some new homes in Bellevue Forest. Lots are hard to come by. Even though lot sizes are larger than normal, the thought of breaking up a lot with the plans of adding new homes is appalling to most Bellevue Forest home owners. Bellevue Forest retains similar characteristics that it has had since its inception in 1938. It is still wooded, isolated, but just a short distance to Washington D.C. 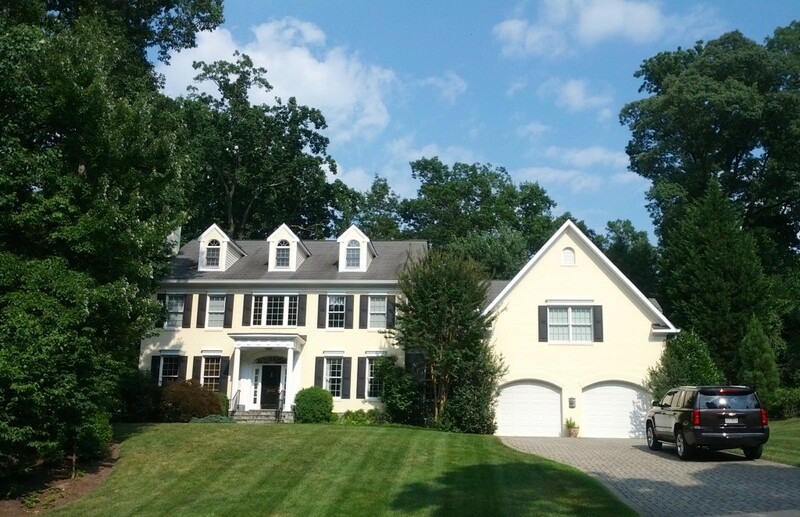 There are not too many other neighborhoods in Arlington that give you a secluded feeling with as much wooded terrain as you will find in Bellevue Forest. The pace of living is just a little slower and more relaxed in Bellevue Forest. Depending on where in Bellevue Forest you live, you could sit in your backyard away from plain sight of any neighbors and enjoy the privacy. But of course the second you want to socialize with your community or take part in a neighborhood event, the residents of Bellevue Forest offer and take part in plenty of neighborhood activities that keeps the neighborhood active and makes it a fun and desirable community to be apart of.